Your expert handling of our transaction was truely appreciated. Your expertise and knowledge allowed us to have a smooth transaction, no worries and of course we look forward to working with you in the future. Fantastic, professional and one who is truely there for her clients! Sold our home and found us the perfect new home, in Laguna Beach! The detail to customer service and attention was refreshing and appreciated by our group! Highly recommended! Thank you for the champagne and chocolate covered strawberries! I just wanted to email you a note to let you know I thought you were a true professional and a great asset to me in my home buying efforts. While I generally know the area, the in depth understanding of the communities and the properties you provided was a wonderful assistance in the process. I was immediately impressed that you asked questions at each property to see what I thought, how I was thinking and never with a pressure to buy. You understood from the beginning of what I was looking for in a home. Once the offer was made I felt you were a true advocate for me in the negotiations. I like the fact that you stepped up for my best interest and from start to finish, made sure the whole process was smooth for me. I think you are an outstanding professional realtor and will recommend you to all my friends. Thank you for all your help and it was not as painful as I expected it to be. "We had the pleasure of having Ruth as our realtor, and were delighted with her dedication and expertise. She is also an outstanding person." "Ruth, thank you for making our purchase of our new home so pleasant. We always felt secure knowing you had our best interest at heart..
You always kept us informed and up to date on any and all information..Your dedication and proffesionalism and outgoing friendly attitude made us feel extremely confidant through this transaction..I'm glad we found you. You will always get our upmost gratitude and we will proudly recommend you to anybody who is searching for a real estate agent that knows her buisness and love what she does..Thank you again Ruth...best wishes and god bless..."
We wanted to take a moment to thank you for your excellent client service when we were both looking for and buying our St. Augustine home. As a professional, we rate you tops! From the moment that I was fortunate to find you, you went above and beyond to show me the best houses for us on the market until we finally found the one. In our dealings with you, Ruth, we always felt you had our best interest at heart and that you would be honest with us in every way. In addition to always keeping us informed and “real-time” up-to-date, you demonstrated your willingness to hands-on 24/7 when we encountered glitches. Your dedication to your customers, friendly personality, and outstanding professionalism make you a realtor we would return to as well as one whose name we will pass along to friends and colleagues. One thousand thanks, Ruth, for all your hard work in dealing with us whose lifestyle finds us in many different countries and often not in the same spot at the same time. You coped with working with us across time zones and other equally difficult things that grow out of movement and you did it so well. Not many could have handled it. Thank you and our very best wishes for your every success. We always felt secure knowing you had our best interest at heart..
You always kept us informed and up to date on any and all information..Your dedication and professionalism and outgoing friendly attitude made us feel extremely confidant through this transaction..I'm glad we found you. You will always get our upmost gratitude and we will proudly recommend you to anybody who is searching for a real estate agent that knows her business and love what she does..Thank you again Ruth...best wishes and god bless..."
Ruth Fandrich is the most helpful real estate agent I have met in so many years. She not only got us the house of our dreams but also sold my previous home! My fiance and I had been driving around looking at different houses for sale. We found one we liked but was hesitate to call as we were getting no where with Agents responding but boy were we in for a surprise. We called Ruth who immediately set up an appointment for us to view the house. This wasn't the one for us but she continued diligently setting up appointments...at one point five in one day!! She explained both the merits and the downsides. She was knowledgeable, patient in answering our queries, and displayed a genuine concern to help us. Then it happened; we spotted a house that was JUST listed and she was right on it. One call and she had secured us an appointment. This house we loved and purchased. This would not have been possible without Ruth's persistence, negotiation skills, and personal care. She took care of all the legal formalities and was with us till me moved in to our new home. Now for the really amazing part of the story....not only did she get us our dream home BUT she sold the home I was currently living in! We could not ask for more from anyone. We are now married and living happily in our beautiful new home....all thanks to the amazing Ruth Fandrich, a Realtor you CAN depend on. I would recommend Ruth to anyone who is in search of a reliable Realtor! Ruth’s professionalism and friendship guided us through an enjoyable process of exploring St. Augustine real estate that concluded with an exceptional purchase. We are thrilled with our property on beautiful Crescent Beach. When Ruth says she works for her clients to be happy, you can believe her. I wanted to let you know about my very positive experience with Berkshire Hathaway on my recent home purchase, closed on May 27. Your team, Ruth Fandrich (My agent), Dale Fortner (Everbank) and Tahyna Gary (Gibraltar Title) did a phenomenal job. It is reassuring to be in such capable hands, from the initial offer stage through inspection, approval process and close. You have a great team, they have set the bar high, I have bought and sold homes over the past 25 years, this team is number 1 in my book. Thanks again. To put it simply, Ruth made our St. Augustine dream come true! After two or three vacation trips to St. Augustine, we made the decision to make St. Augustine our permanent home. In April 2016, we met Ruth for the first time and she gave us the grand tour of downtown St. Augustine and Anastasia Island. We were not sure if we wanted a condo or a single-family home, but she showed us a variety of homes in our price range and a variety of St. Augustine lifestyles. The combination of Ruth's natural enthusiasm and her incredible knowledge and appreciation of St. Augustine made every visit with Ruth a lot of fun while searching for our future home. Ruth is hardworking, thorough and she pushes to the end to get the job done! Believe me, there is always a "stumbling block" in every real estate deal, but Ruth does not give up and her experience shines through! In purchasing a home, Ruth can also provide you with excellent professional services and home contractors should you need one. Looking for a good restaurant? She will quickly suggest fantastic restaurant options! Every time we came down for a visit, Ruth would ask "Where are you going for dinner?" Thanks to her, we have experienced the local best! Ruth is so much more to us than our real estate agent. She treated us like her family and we consider Ruth and her husband (John) to be our friends. Because we lived out-of-state during this purchasing process, Ruth and John jumped in the car to view properties for us on several occasions and made videos too. 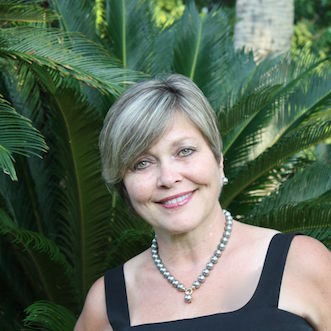 You will not meet a more caring and determined real estate agent than Ruth Fandrich and we wholeheartedly recommend her to anyone wishing to make St. Augustine their home!